La Camera’s New Breakfast Menu Is Here! Is there a better way to start the day than with a delicious breakfast in a beautiful location? We don’t think so, and – judging by the drool worthy breakfast menu they’re offering – neither do the guys at La Camera. Like any breakfast menu worth its salt they’ve got your favourites covered with classics such as Granola with milk, yoghurt and fresh berries, Goji Berry, Apple and Barley Porridge loaded with seeds, blueberry and pear compote, and an Eggs Benedict so tasty you’ll feel like licking the plate… but it’s in the ‘Something Special’ section that things really come alive. It’s hard to go past the Zucchini, Corn and Basil Fritters (the recipe for which comes straight from Nonna), however if you’re so inclined, we know you won’t be disappointed – Vegetarian Roti Wraps, Huevos Rancheros and an amazingly fluffy Ricotta Pancake (for the sweet tooth’s among us) await. Need more? Go on then, get the Big Breakfast. 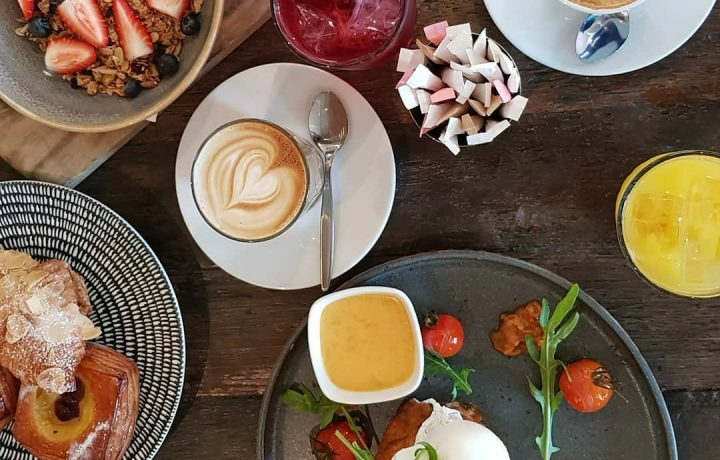 Perfect for weekend catch-ups, weekday business breakfasts or any-day-just-because-treat-yourself breakfasts, La Camera’s new menu has it covered.